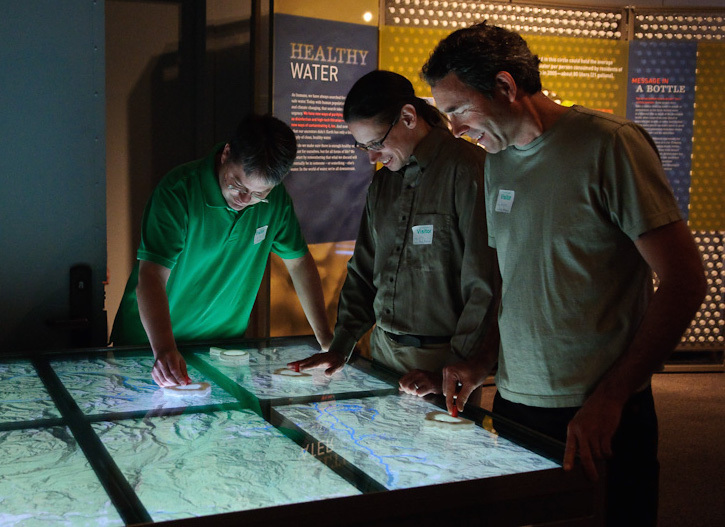 Rain Table is an interactive museum exhibit developed in collaboration with the Science Museum of Minnesota. 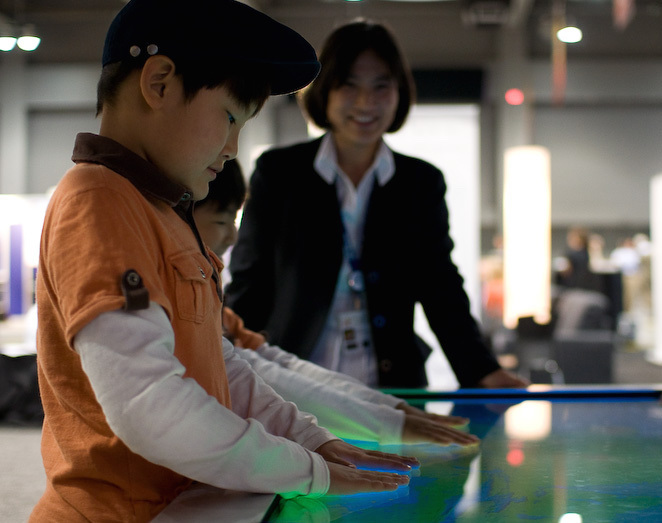 It lets museum goers interact with a two-dimensional map on a large, high-resolution digital tabletop display. 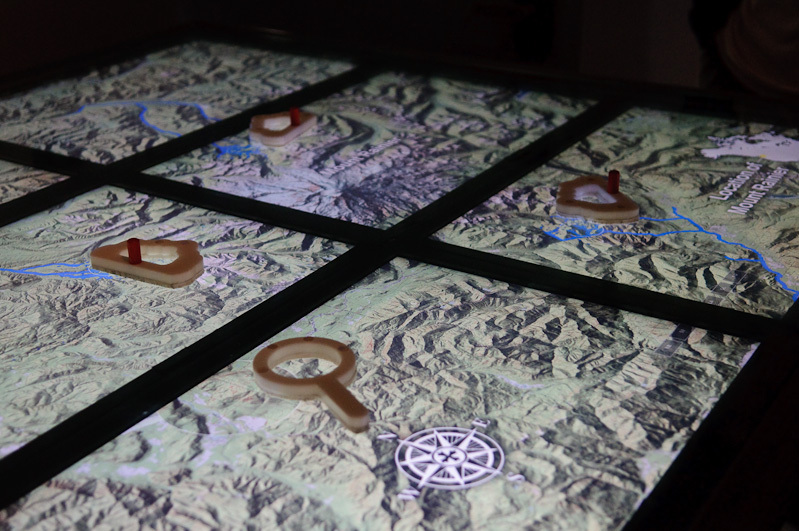 Users can move tangible "clouds" to select locations of rain fall, and then watch as rain flows down mountins, cuts channels through slopes and plains, and floods streams and rivers. Rain Table was featured in the Water = Life exhibit, traveling to many cities across the US and Canada, including St. Paul, Chicago, and Toronto. Rain Table has also been demonstrated at major conferences including the American Geophysical Union 2009 Meeting, Supercomputing 2009, and the American Association for Advancement of Science 2010 meeting.